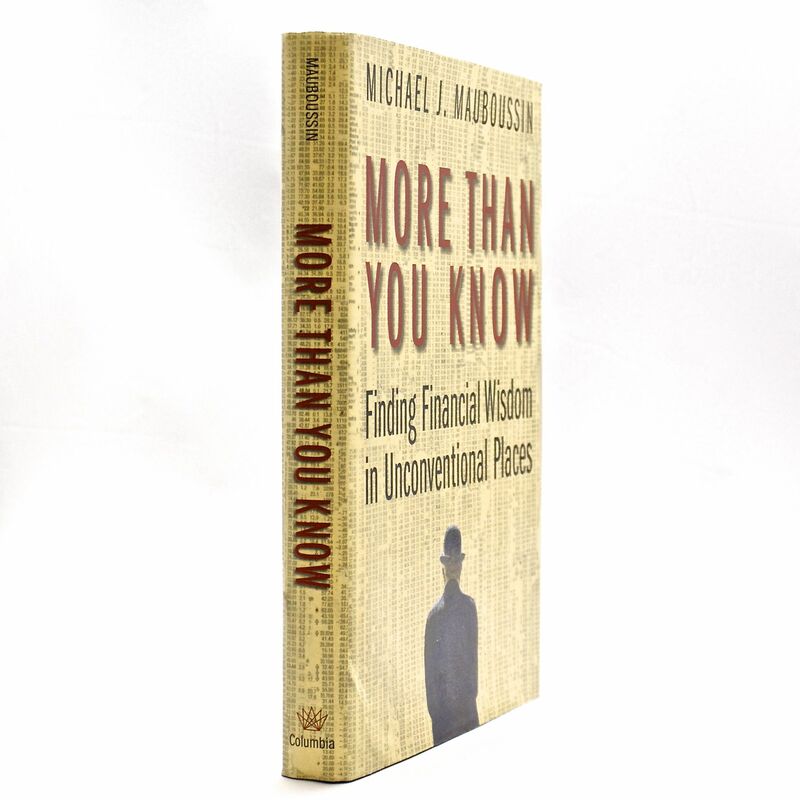 More Than You Know - IFA Vintage and Current Book Library - Index Fund Advisors, Inc. Since its first publication, Michael J. Mauboussin's popular guide to wise investing has been translated into eight languages and has been named best business book by BusinessWeek and best economics book by Strategy Business. Now updated to reflect current research and expanded to include new chapters on investment philosophy, psychology, and strategy and science as they pertain to money management, this volume is more than ever the best chance to know more than the average investor. Offering invaluable tools to better understand the concepts of choice and risk, More Than You Know is a unique blend of practical advice and sound theory, sampling from a wide variety of sources and disciplines. Mauboussin builds on the ideas of visionaries, including Warren Buffett and E. O. Wilson, but also finds wisdom in a broad and deep range of fields, such as casino gambling, horse racing, psychology, and evolutionary biology. He analyzes the strategies of poker experts David Sklansky and Puggy Pearson and pinpoints parallels between mate selection in guppies and stock market booms. For this edition, Mauboussin includes fresh thoughts on human cognition, management assessment, game theory, the role of intuition, and the mechanisms driving the market's mood swings, and explains what these topics tell us about smart investing. More Than You Know is written with the professional investor in mind but extends far beyond the world of economics and finance. Mauboussin groups his essays into four parts-Investment Philosophy, Psychology of Investing, Innovation and Competitive Strategy, and Science and Complexity Theory-and he includes substantial references for further reading. A true eye-opener, More Than You Knowshows how a multidisciplinary approach that pays close attention to process and the psychology of decision making offers the best chance for long-term financial results.